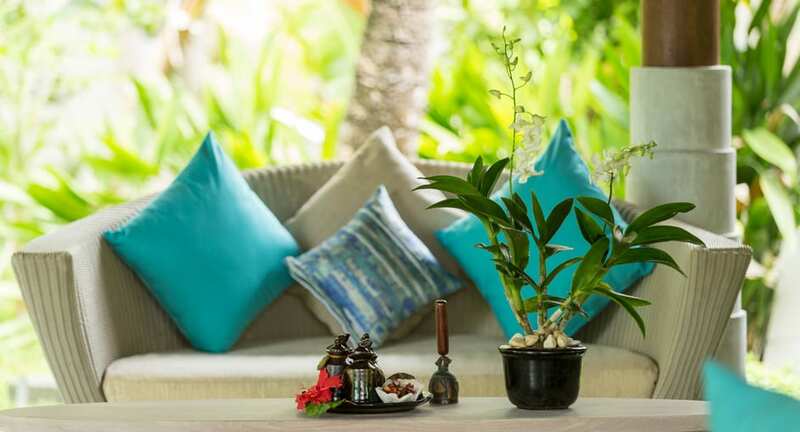 Drift into bliss with ancient healing treatments for two at our couples only resort. Enter a soothing spa haven, a hint of lemongrass and ginger in the air. Succumb to healing hands versed in the 5,000-year-old techniques of Ayurveda. Your journey begins with an Abyhanga massage of warm oil to relieve stress and enhance mental alertness. Hot herbal pouches of Pindana Sweda restore vitality, while the deep tissue massaging of Siro Abhyangam releases tension in the head, neck, shoulder and back. Emerge revitalised to share a moment in the relaxation garden. Indulge in the ultimate unwinding at one of the finest Maldives couples-only resorts.